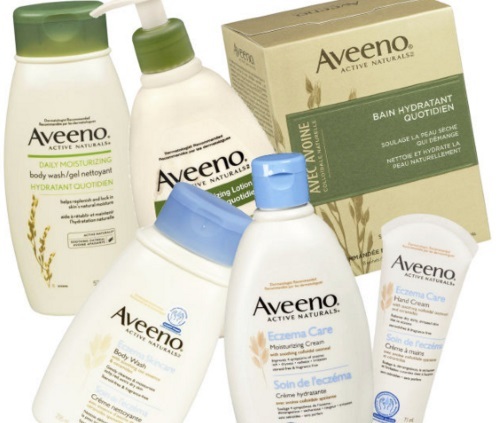 Beautygeeks are giving away two gifts of skin-soothing body washes and moisturizers from Aveeno! The prize packs include: Aveeno Daily Moisturizing Body Wash, Aveeno Daily Moisturizing Lotion, Aveeno Daily Moisturizing Bath, Aveeno Eczema Care Body Wash, Aveeno Eczema Care Moisturizing Cream, Aveeno Eczema Care Hand Cream, Aveeno Baby Eczema Care Wash and Aveeno Baby Care Moisturizing Cream. That's A LOT of products! Contest closes Wednesday March 16, 2016. Open to US and Canadian residents. Simple and clean ingredients. Very effective. Such success with the moisturizer that I want to try the body wash.
Do not take hot showers or baths.....slather Aveeno Body Wash all over after a warm water bath or shower.